Regarded as the gold standard tool for trimming goat and sheep hooves. Choice of smooth or serrated blades. Comfortable handles for left and right handed users. Trimming hooves on sheep and goats. 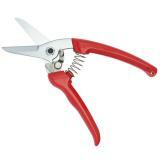 Multi-purpose hand shears for pruning flowers and shrubs. 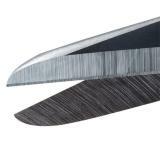 Note: ARS 140 DXR Serrated Trimmer has a serrated blade (top side only) for improved cutting. Serrated blades slice through hard hoof horn without slippage. Improves efficiency and safety. Both ARS trimmers slice through hooves easily. Comfortable handles. Our left hand users rave about these trimmers. Steel blades truly hold an edge. Gently rounded tips make cleaning manure from hooves without risk of injury to you or the animal. A reusable rubber boot for sheep and goats that provides clean and comfortable protection to the injured hoof. Aids in treating horses and ponies with thrush. 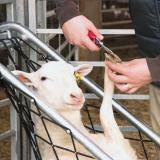 Can also be used to treat footrot in sheep and goats. Number of reviews: 63 customers reviewed this product. Recommended: 62 out of 63 said they would recommend this product to a friend. The Serrated ARS Hoof Trimmers have become our favorite trimming shears. They’re easy on our hands, agile and sharp. The serrated blade grips the hoof to prevent the trimmers from sliding off while you’re cutting. 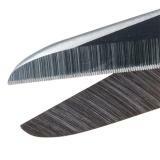 Safety catch is very sensitive, if the trimmers are closed and are bumped or dropped they will open. Easy to use trimmers. Made very well and sharp. Thank you. Best I have ever used, hope they last. I absolutely LOVE the serrated hoof trimmers. HOWEVER, you need to know this about them: When they get dull, and eventually they will, if you get them sharpened the serrated edge will be GONE. I sent my pair back to Premier for sharpening and was disappointed when I received them back (very quickly by the way) to find both blades were smooth. I called Premier and was told that if they sharpened only the straight blade the two blades would no longer meet together correctly when cutting. So they have to sharpen both blades. Understand the serrated benefit of gripping hooves really well is not a forever thing. Put off sharpening them as long as you can. 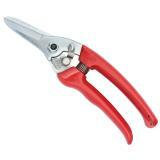 I do find them beneficial enough that when my pair gets dull (I have hundreds of goats to trim) I purchase a new pair. These are awesome! It’s like cutting butter! My other pair (different brand) were terrible. These are the best!! Surprisingly sharp! The best pair I’ve owned so far. The only thing I would improve is the spring. When cutting a thick or tough hoof the spring just needs a little more to open the shears again.